We will have a party on MARCH 20&28 !!! 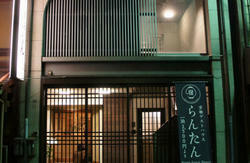 J-Hoppers Kyoto Guest House is a small homely hostel located in a convenient location, 8 minute walk from JR Kyoto station. Everything you need as follows is accessible within 3 minute walk; convenience store, supermarket, 100 yen shop, ATM, post office, izakaya (Japanese bar) and restaurant. To the bus stop for Kiyomizu-temple, Gion, the downtown area, Imperial Palace and Nijo Castle is 2 minute walk. We sell One day bus pass which makes your sightseeing easier at the front desk. Each of our staff members will help you with warm hospitality. Please relax and stay as your home away from home. Our custom-made roomy bed is a compilation of knowledge that we acquired from 10 years of managing hostel. Equipped with a quite large sized loft bed. Guests sleeping on the top use the loft and unlike ordinary bunk beds, you can keep all your luggage up on the top. Taking the bottom, you can sleep in an independent single bed under the loft. Each bed has a personal bed light, plug outlet and curtain. You can surf on your bed by WiFi. Safe lockers in all dorm rooms. We are happy to store your luggage in the luggage room before check-in and after check-out. Longer term luggage storage is available for returning guests. 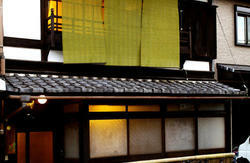 We have loads of information about Kyoto and all over Japan. 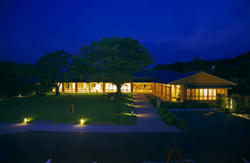 Our location is also suitable for the day trip to Nara, Osaka, Himeji, Kobe and Shiga. We give you a stamp for each night at any J-Hoppers Hostels (Kyoto, Osaka, Hiroshima and Hida Takayama) or Hana Hostels (Hiroshima and Kyoto). You will get a discount or a special coupon on every 4th night. If you wish to cancel or change your reservation, we will require 2 days advance notice before the date of your arrival, otherwise you will be charged the cancellation fee of one night's stay. For groups of more than 5 people, we may require additional condition when you make a reservation request. 1) Get out of Kyoto Station from ' Shinkansen Hachijoguchi East Exit '. 2) Walk east along Hachijo-Dori Street, and turn right at the crossing of Hachijo-Dori Str. and Takeda-Kaido Str. 3) And walk approx 500m to the south. You come to the large intersection of Kujo-Dori Str. and Takeda-Kaido Str which is called 'Oishibashi'. *There is a Japanese restaurant on the left hand side. 4) Cross the street straight and take left on the Kujo-Dori str. *J-Hoppers Kyoto is near the south-east corner of the intersection, five?storied building from the 4th shop at the corner. *If you take a Taxi, please tell the driver 'Oishibashi' Kousaten=intersection. Nantou Kado=south east corner. Kujo-dori zoi ,Higshi ni mukatte 4ken me=4th building on the Kujo street toward east.